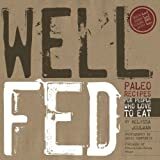 Fantastic Paleo Recipes – Paleo is the best natural way to diet. What do you need? Awesome taste for diet? Then This will be your solution! Paleo is the best natural way to diet. What do you need? Awesome taste for diet? Then This will be your solution!